What kind of artists put a mustache on the Mona Lisa? Enter a urinal in an art competition? Declare their own independent republic? Hijack a ship? And what happens in such a movement? With Dada, many of the artists declared their own �Pope� and continued their journey (with no destination) into Surrealism, creating burning giraffes, �amoebic� dogs, and lobster telephones � some of the most imaginative and intense works of art of the 20th Century. 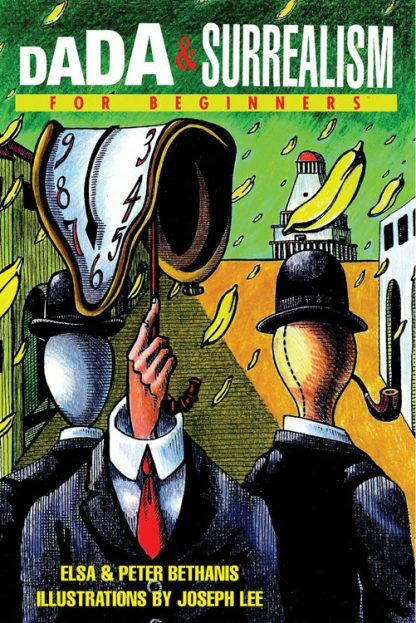 In Dada & Surrealism For Beginners, you�ll get a colorful overview of these two movements, and develop a sense of the turbulent, wild, and unapologetically mad mood and tone of the Dada and Surrealist movements. Whether you�re an artist, would-be artist, or someone seeking the marvelous, you�ll find the courage and originality of the movements inspiring, and you�ll gain an understanding of their long-term (and current) influences on contemporary art and culture � everything from performance art to pop art to the abandoned train ticket you find in the street. Elsa Bethanis is a writer and former editor whose work has also appeared in a number of literary journals. She resides in Indianapolis with their daughter Katie. Peter Bethanis is an artist, essayist, and poet whose work has appeared widely in literary journals, including Poetry, Lullwater Review, and Tar River Poetry.